We are ready to offer some lucky and talented golfers the golfing adventure of a lifetime as the national finals of Volvo World Golf Challenge will be played in both Sweden and Austria this weekend. From these national finals golfers will qualify for the Volvo World Golf Challenge World Final, often referred to as the world’s most exciting golfing experience. This year the finals in these two countries are quite special – at least from GameBook user’s point of view. GameBook will be used for scoring in both events but more importantly, for the first time ever, the route to these national finals has been made open to all golfers instead of just the few that have participated in the local qualifying events – thanks to Volvo’s cooperation with GameBook. By playing a round of golf using GameBook each and every golfer in both Sweden and Austria has had the opportunity to win a spot in these national finals. And from the golfers that have qualified, one in each country will be guaranteed a spot in this year’s World Final – a golfing experience of a lifetime that is not just a 36-hole and 2-day world class golf tournament always played on a beautiful and highly rated course, but much more. During each week of the contest one winner was randomly drawn from all rounds played with GameBook that resulted in 30 or more Stableford points. In addition to these finalists, players in both countries also had additional routes to advance to the national finals. These included rewarding players who had already participated in one of the traditional qualifying events but hadn’t made it to the final as well as the players from the golf clubs that had hosted the most rounds played with GameBook during the contest period. And we didn’t even forget about giving out a couple of good old Wild Cards. In addition to these weekly winners, one finalist was randomly drawn from each of the 10 golf clubs that had hosted the most rounds played with Golf GameBook during the contest period. These Clubs were Huvudstadens Golfklubb, Nässjö Golfklubb, Hills Golf & Sports Club, Araslöv Golfklubb, Bollnäs Golfklubb, Värnamo Golfklubb, Österåkers Golfklubb, Bro Hof Slott Golf Club, Falun-Börlange Golfklubb och Landskrona Golfklubb. And the finalists representing these courses are Peter Kanerva, Markus Nyberg, Nicklas Wennerlöf, Bengt Svensson, Martin Andersson, Thomas Fellerstam, Joacim Lilliedahl, Jörgen Haggren and Magnus Wenåker. Together with Volvo we also offered a chance to win 4 wild cards to the national final. These went to Ulf Isaksson, Jim Axmalm, Baril Ignatius and Tomas Liljestrand. 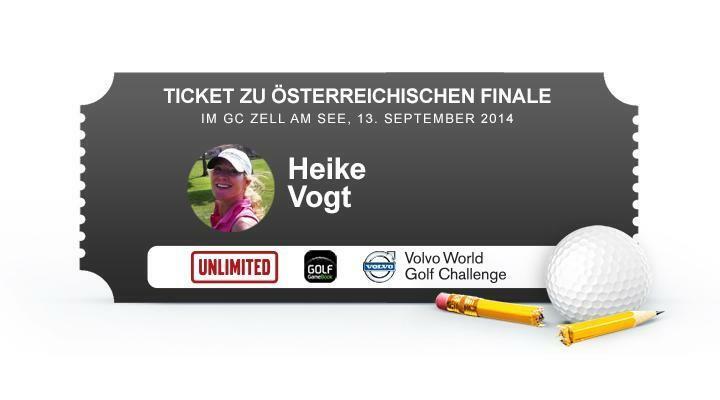 In Austria all players who had already participated in one of the local qualifying events but hadn’t made it to the final got a second chance through using GameBook. Four of them, Wolfgang Halmdienst, Peter Brandl, Wolfgang Kopf and Johann Böck ended up making their way to the national final. We congratulate you all for making it into the national finals. Good luck this weekend! The national finals can be followed both as public events on the app and online, so make sure to check who will make it to the World Final and cheer for your friends and favorites. The Austrian final will be played at Golfclub Zell am See on Saturday 13th of September, 2014. Once the event has started, you can follow the action live both online and in-app. The Swedish final will be played at Öijared Golfklubb on Sunday 14th of September, 2014.